I've picked up stuff from Motostorm in Italy. Sidi Crossfire SRS if I recall correctly. Great price and good to deal with. Hank122 and Coach23101 like this. I guess that like hands, our feet vary as well. All I can say is that my Forma adventure lows felt comfortable from the moment that I put them on. No "wearing in" required at all. I still remember years ago filling new dirt bike boots with water and walking around the back yard in them until they dried out! On the no returns policy when using eBay I always look at the "sellers other items" as well as the rating and the age online of the seller to determine if I will buy there. I always use PayPal anyway. I NEVER buy where PayPal is not accepted. Big B, Hank122 and America First like this. I bought the Forma Adventure High (in black) last summer because I was headed to a long gravel trip in Newfoundland and Labrador and wanted a bit more protection. I also found that they felt great right out of the box. 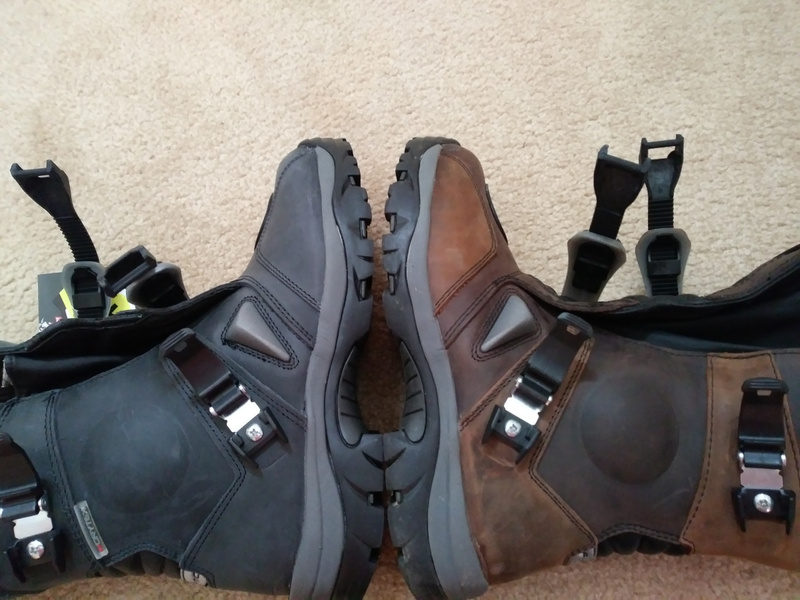 I ordered the same Euro size (45) as a pair of Dainese Touring boots I bought from Motostorm a few years ago and they fit perfectly. I'll be using them again this coming September on a 3 week trip out West with my son, we plan on doing parts of the New Mexico and Colorado Backcountry Discovery routes. Really looking forward to that trip! P.s, I did have to move the shift lever up and ended up ordering Rick's (@AdventureTech) Gear shift Relocation/Extension piece that is an add on to the foot peg lowering kit that I already had installed. That gave me the right amount of adjustment to make the shift lever right. It did cross my mind that these could be knock-offs, but I guess I was in a take a leap of faith kind of mood. I’m not too concerned, given the seller’s high rating. At the end of the day, $150 isn’t gonna break me. It’ll pi$$ me off, but it won’t send me to the poor house. At any rate, by this time next week, I suppose I’ll know one way or the other. Just an FYI to those concerned about knock-offs or exchange issues if they don't fit, Motostorm in Italy has these for $169.96 US. I'm attaching a screenshot from today to show that exact price. 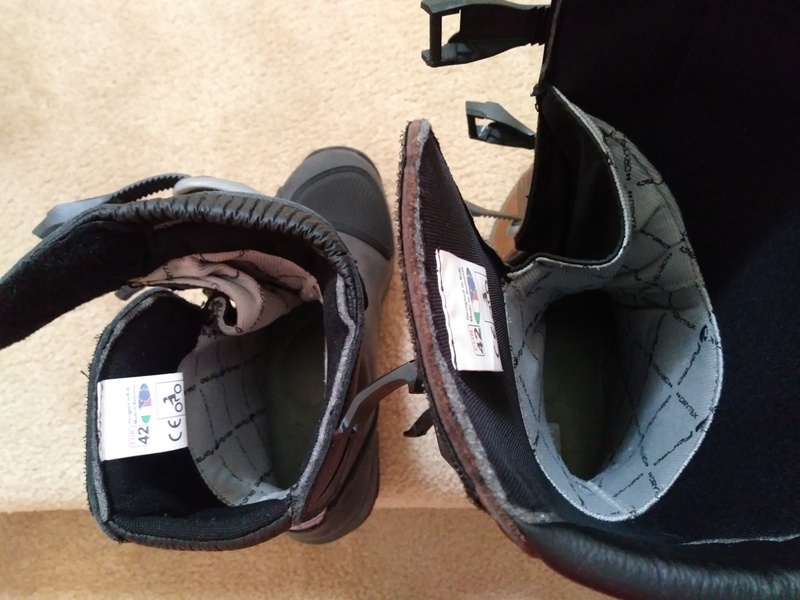 I've spent beaucoup dollars with them for boots, jackets and even Givi Outback Trekker cases and never had a problem while saving hundreds of dollars. Sure it takes a bit longer to reach me but hey, it's winter time and I can wait. I’m a big fan of Motostorm. I purchased several things from them, including Kappa Venture sidecases and Givi racks. I had a slight problem with the racks, and they made it right. 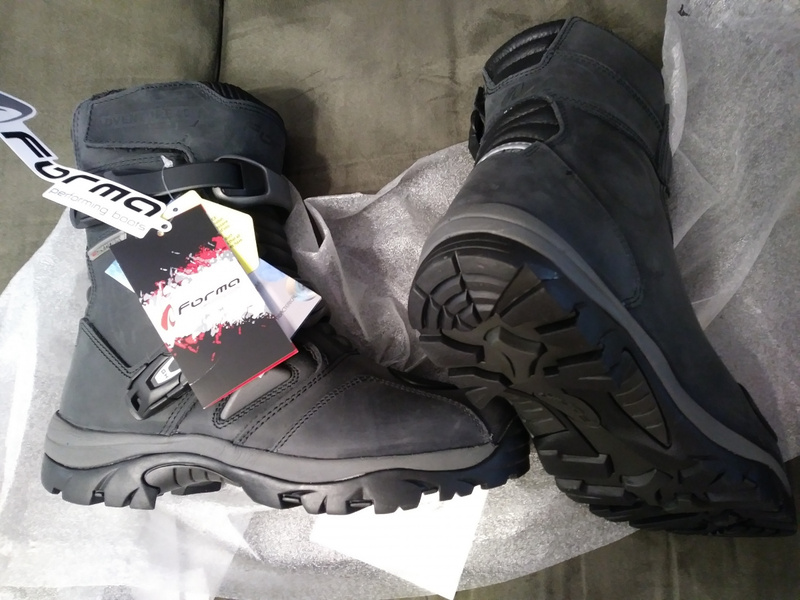 I almost bought the Forma boots from Motostorm, but then I found the eBay listing and decided to take a chance. Thanks for letting us know about the deal! I feel pretty good about the boots (and my order) given the seller's response to me and his high reviews. He has many other Forma boots for sale as well, so it all seems legit. Like you said, we shall see when the boots come in. I picked up a pair two years ago for that price on eBay if they're knockoffs they're the best ones I've ever purchased and will do it again. xrcris and America First like this. Order placed for the US size 12. $188USD all duty and taxes in and shipped to Canada by Mar 20. Looks legit. Will advise if there's anything out of sorts. Last edited by America First; 03-06-2019 at 05:40 PM. Going by the chart on his page you want the inside measurement of the boot to be at least 3/4 inch bigger than your foot is. I wear a size 12 in most although a 13 lately has been better for my sensitive big toes. My foot measures 11 3/4 inch from heal to toe. Even the size 14 would be too short? Measure your feet length against the boot's inside length (see below). The inside length should be at least 3/4 inch longer than your feet.